New England Patriots Tight End Rob Gronkowski sent a Tweet Tuesday morning saying he agrees with a report that the NFL is targeting him. Gronkowski shared a Tweet from 98.5 The Sports Hub saying the NFL is targeting him with OPI calls. 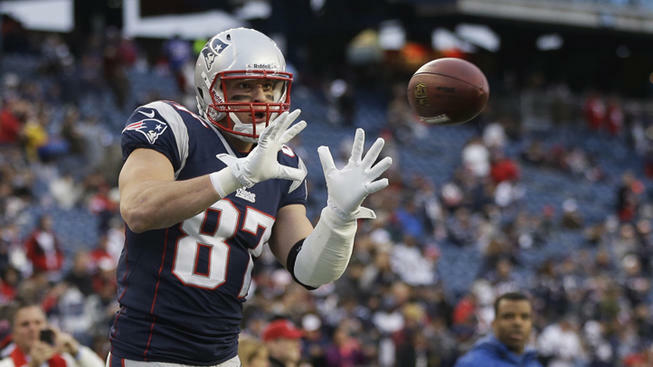 Gronkowski sustained a minor knee sprain in Sunday night's game against the Denver Broncos. He is not expected to miss more than one game.